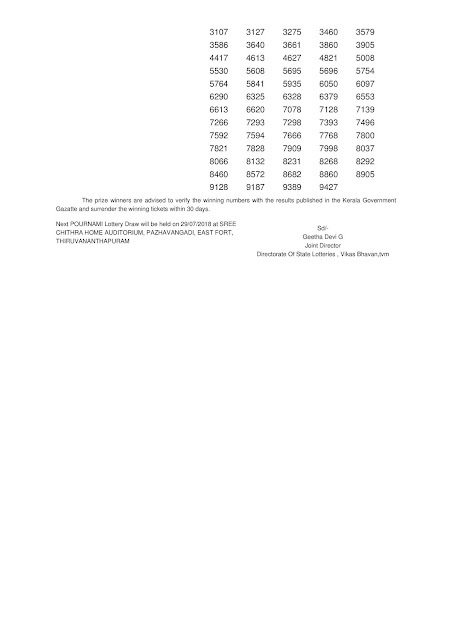 Pournami is one of the seven weekly lotteries. Pournami lottery draw is held on every Sundays at 3pm. Every lottery is represented by an alphabetical code and Pournami lottery code is “RN” representation contains draw number along with the code. Pournami lottery cost Rs.30/- only (face value 26.8 +GST). Kerala State Lotteries department releases the lottery in 12 series and the series may varies. 108 lakh tickets were issued every day for sale. 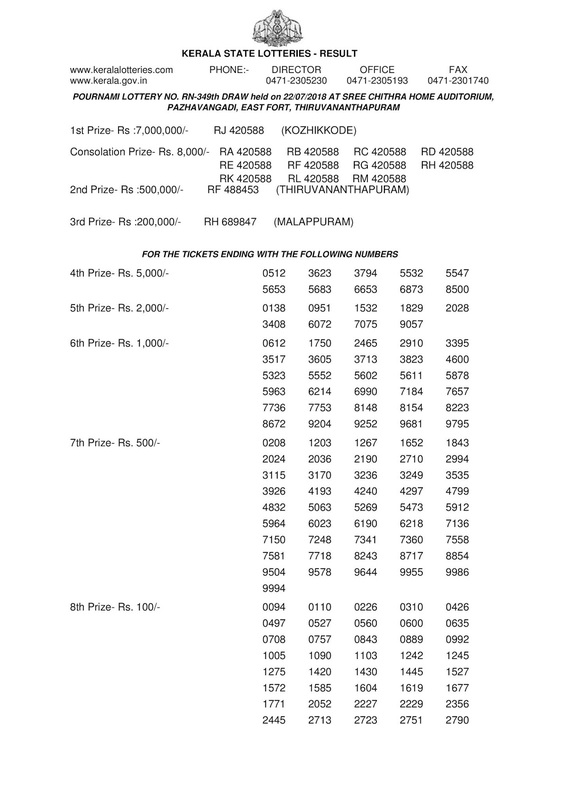 Pournami lottery ticket has 9 prizes including consolation prize. The first prize winner got 50 lakhs rupees and the second and third prizes are 5 lakhs and 2 lakh (1 prize in each series) respectively. A total of 193345 prizes were given to the winners. 10% of the prize money is considered as agent’s commission and given to the agent who sells the winning tickets. 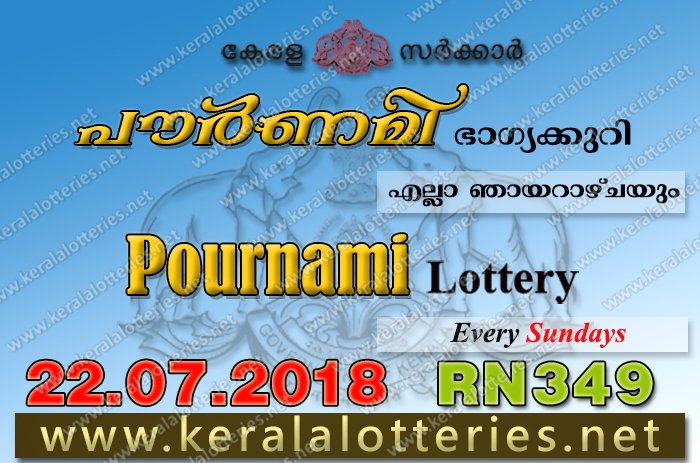 Kerala Lottery Result Today 22-07-2018 is pournami lottery RN 349. Today kerala lottery result will be announced on 22/07/2018 at 03:00pm. The kerala lottery department held the draw of RN 349 Pournami lottery today 22.07.2018 at sharp 3pm with the presence of officials in the Auditorium of Sree Chithra Home Thiruvananthapuram.